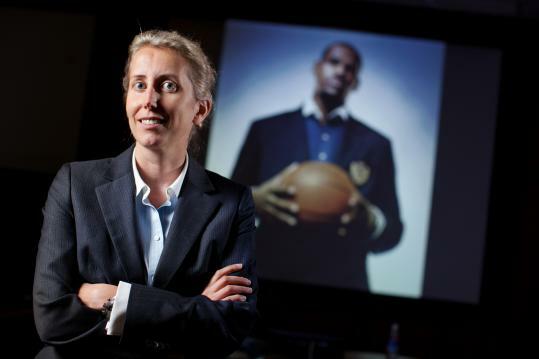 Anita Elberse, Harvard Business School’s expert on the entertainment industry, has done pioneering research on the worlds of media and sports for more than a decade. Now, in this groundbreaking book, she explains a powerful truth about the fiercely competitive world of entertainment: building a business around blockbuster products—the movies, television shows, songs, and books that are hugely expensive to produce and market—is the surest path to long-term success. Along the way, she reveals why entertainment executives often spend outrageous amounts of money in search of the next blockbuster, why superstars are paid unimaginable sums, and how digital technologies are transforming the entertainment landscape. Full of inside stories emerging from her unprecedented access to some of the world’s most successful entertainment brands, Blockbusters is destined to become required reading for anyone seeking to understand how the entertainment industry really works—and how to navigate today’s high-stakes business world at large. Blockbusters is available on October 15, 2013. "Good books merit a second reading—Blockbusters merits at least three. First, read it for fun. Anita Elberse describes the history of how blockbuster products and star entertainers were built. If you’ve ever read arguments about whether leaders are made or born, you’ll love this. Then read it again for Elberse’s model, which explains the process by which hits and stars are made. This will make you feel like Columbus discovering a world that has long existed but few have seen. Then read it a third time, using her model to understand how other stars – leaders in politics, business and academia, for starters – often can be built in the same way. There is hope – because the world truly is entertaining. Blockbusters is a delightful, thought-provoking book." "One of the Best Books of 2013"
"How come so many movies are sequels, adaptations and reboots? Why do music studios spend so much on just a handful of superstar artists? And since when did TV shows become so lush and sophisticated?… [Elberse’s] great new book, Blockbusters, explains that the… questions share one answer. The blockbuster strategy — betting more and more money on fewer and fewer titles — has taken over the entertainment world." "In her new book Blockbusters… [Elberse] argues quite convincingly that in the music industry (in addition to cinema, television, books, and more) record labels are most profitable when they focus their funds on a small number of big-shot, can’t-miss juggernauts." "Convincing… Elberse's Blockbusters builds on her already impressive academic résumé to create an accessible and entertaining book." "Blockbusters demonstrates that [a blockbuster] strategy usually beats the more cautious approach of spreading around lower-amount investments in a larger number of projects, a recipe for mediocrity that seldom captures the public’s imagination." "The book effectively explains the paradox of why more entertainment channels result in fewer choices, and offers a welcome respite from the usual business titles." "This thought-provoking book will appeal to students of all ages, those in the classroom and well beyond." "Forceful… Elberse analyzes the realm of culture with a rigorous, numbers-driven approach." "Persuasive… Elberse’s research has now culminated in the publication of her first book, Blockbusters, in which she makes a bold…case against fiscal timidity in the entertainment industry." "A compelling answer for those who wonder why Hollywood seems obsessed with superheroes and all hit songs sound alike. The formula works. . . [In Blockbusters,] Elberse delivers an accessible, convincing accounting for the ways in which contemporary entertainment is produced, marketed and consumed." "In Blockbusters, Anita Elberse… argues that the blockbuster strategy—a broad formula that assumes investing in big potential winners will account for a disproportionate share of returns—now governs consumer markets, from restaurants and hotels to electronics." Anita Elberse, the Lincoln Filene Professor of Business Administration at the Harvard Business School, is one of the youngest female professors to be awarded tenure in the School’s history. Her work has been featured in The New York Times, The Wall Street Journal, Variety, and Fortune. She lives in Boston, Massachusetts. Blockbuster Strategy A Success For Hollywood? 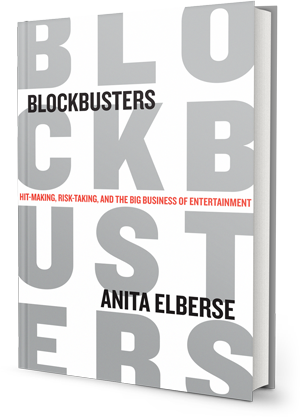 Go Big or Go Home: An Interview with Anita Elberse, Author of "Blockbusters"